New Delhi, April 11: The Election Commission (EC) of India on Thursday wrote to the Chief Electoral Officer, Delhi, over the broadcast of NaMo TV channel and its content. The EC letter addressed to the Chief Electoral Officer (CEO) mentions that, "It has been confirmed by you that there has not been any pre-certification of the content being displayed on NaMo TV/Content TV, by the MCMC Committee in your office." 'PM Narendra Modi' Movie Release Banned By Election Commission, ECI Says No Political Biopics Will Release During Lok Sabha Polls 2019. The letter further stated that "any political publicity content, being displayed on electronic media without requisite certification from competent authority should be removed immediately and any political content shall only be permitted strictly in accordance with EC instructions in this regard." 'PM Narendra Modi' Movie Release Banned By Election Commission, ECI Says No Political Biopics Will Release During Lok Sabha Polls 2019. 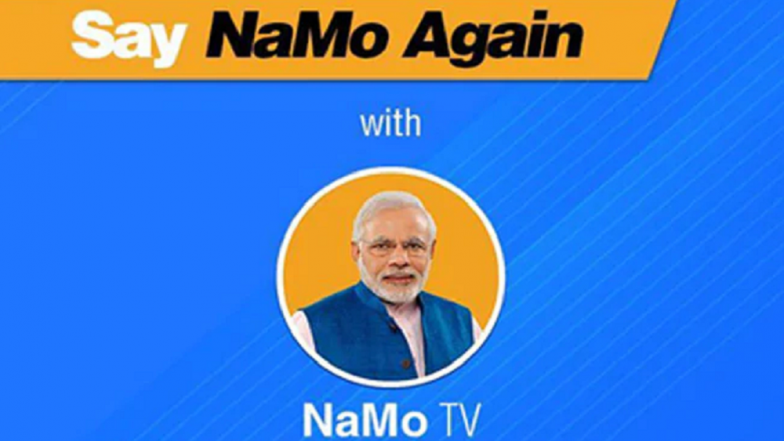 The Election Commission of India (EC) on Wednesday not only temporarily banned the biopic on Prime Minister Narendra Modi, but also ordered to close down Namo TV- a channel that had come up just before the 2019 Lok Sabha Elections. EC said that the ban on screening of the biopic 'PM Narendra Modi' also applies to NaMo TV, which also cannot be aired during the poll period, a senior official of the poll panel said on Wednesday.